Morning drive to Gurgaon. 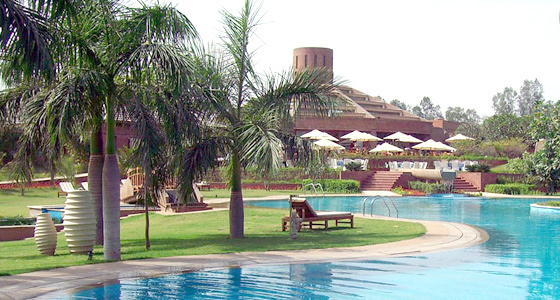 On arrival check in to the 'The Westin Sohna Resort and Spa'. Evening enjoy the cycling and Horse Riding in house, Evening enjoy Star Gazing "A ravishing spectacle, a hedgy experience and the brightest stars from the billions in our Milky Way can be viewed the next time you visit The Westin Sohna Resort and Spa with our exclusive star gazing activity". Overnight stay at hotel. Breakfast at the hotel. Optional Spa therapies. Invigorate your senses at Heavenly Spa by the Westin Sohna Resort and Spa. An urbane oasis spread across 18,000 sq ft with enchanting male and female passages. As one enters this soothing escape, uplifting fragrances and signature "Heavenly" music welcomes you. Walk into this luxury spa where seven treatment alcoves are designed to provide a serene environment for the sensory experience. Each alcove features an outdoor shower so that the nature can be absorbed in its complete glory while indulging in the treatment. Designed to enhance and optimize a total 'mind-body experience', Heavenly Spa by Westin™ offers six senses inspired treatment to restore harmony between body, mind and soul. The unisex beauty salon at the spa offers a plethora of luxury face, hand, and hair care treatments. 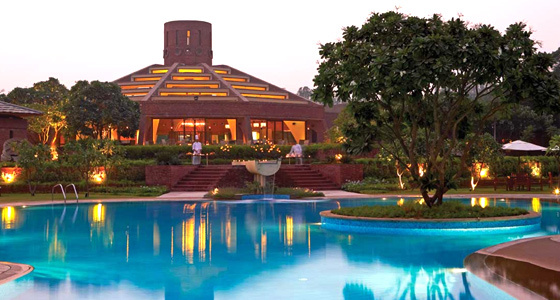 The facility also features - Peace, a meditation pyramid, located at the centre of the spa surrounded by water on all sides for one to attain perfect accord and an open air yoga room flanked by water on one side and greenery on the other. Overnight stay at Resort. Morning enjoy the Cycling session, Post breakfast drive back to Delhi.